Wordless Wednesday: This Working Out Business Is Hard, Man | Dawg Business: It's Your Dog's Health! Owner-to-owner things I've learned about dogs and dog health issues. In loving memory of the most special Rottweiler girl ever, Jasmine. I love you forever, baby. 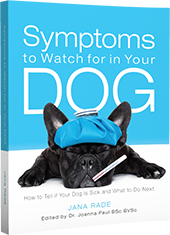 "Symptoms to Watch for in Your Dog" is now available on Amazon. Get your copy today! Share your experience and benefit from experience and support of others. VetLIVE offers dog owners round the clock veterinary advice over the internet from licensed veterinarians delivering a new standard in pet care. The goal of The Rabies Challenge Fund Charitable Trust is to determine the duration of immunity conveyed by rabies vaccines in order to extend the required interval for rabies boosters to 5 and then to 7 years. Symptoms To Watch For In Your Dog: What Is That Limp? A Dog's Fur Contains Fewer Harmful Germs than a Man's Beard - The number of pathogenic microbes found in the fur and mouths of dogs is less than that found in the beards and mouths of humans. Pets Can Have Specialists Too! Disclaimer: Information published on this blog are my opinions and findings the way I understand them. I try to provide good information, but my main goal is to get you to get educated and come to your own understanding of things. You are welcome to comment and ask questions. 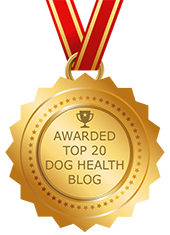 © Dawg Business: It's Your Dog's Health! . All rights reserved.